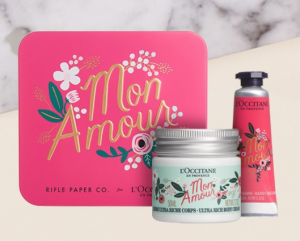 Now through February 14th, L’Occitane is offering you a FREE Beauty Gift Set in-store! No purchase is required to redeem this in-store, however if you redeem online you’ll have to make a purchase and use code: KISS with any purchase. Plus get 20% off your purchase. Click here for this FREEBIE from L’Occitane.